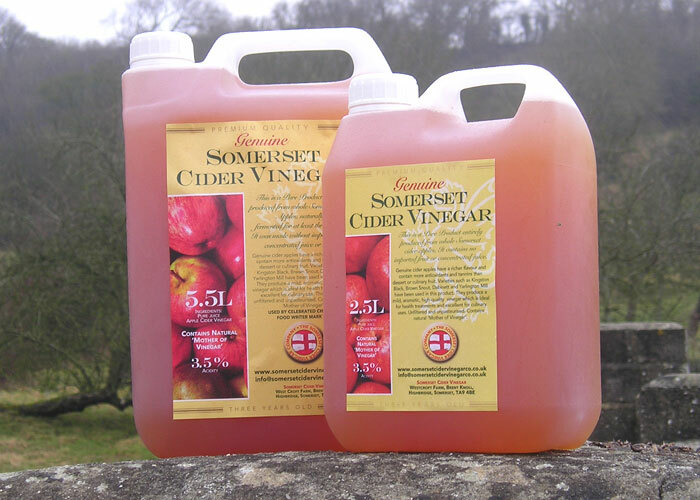 The SOMERSET CIDER VINEGAR COMPANY makes traditional cider vinegar (also called Apple Cider Vinegar or ACV) from 100% Somerset cider apple juice. Our vinegars are not pasteurised or micro-filtered and contain live 'mother-of-vinegar'. 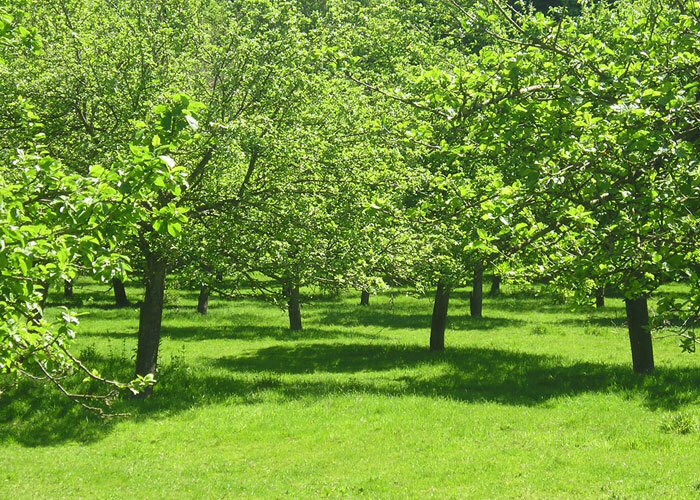 Somerset Cider Vinegar can be used for the treatment of arthritis and many other health purposes because our vinegar is fermented NATURALLY on the farm for at least THREE YEARS. 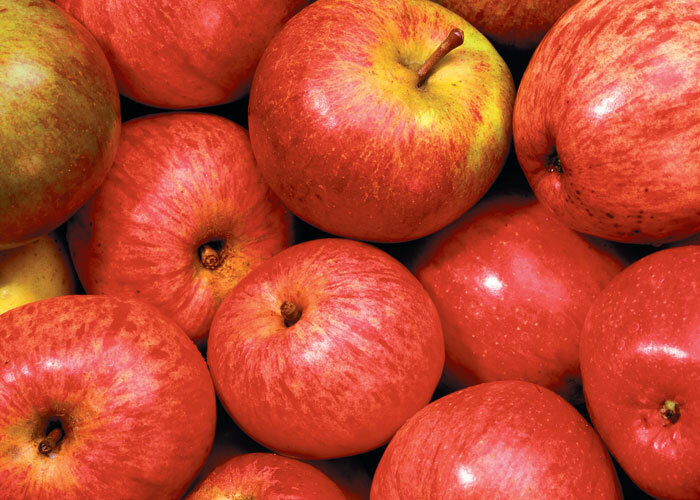 Genuine cider apples contain greater quantities of antioxidants and tannins and have more health applications than dessert or culinary apples. IF YOUR VINEGAR DOESN'T SAY IT'S MADE FROM PURE CIDER APPLE JUICE - IT WON'T BE! Cider vinegar bought from supermarkets is produced industrially in a machine called an 'Acetator' using cider made from substandard dessert apples, lots of sugar and imported concentrates to boost the alcohol content. Click on the link below to order Cider Vinegar in 1 litre, 2.5 litre, 5 litre, 10 litre or 20 litre containers. 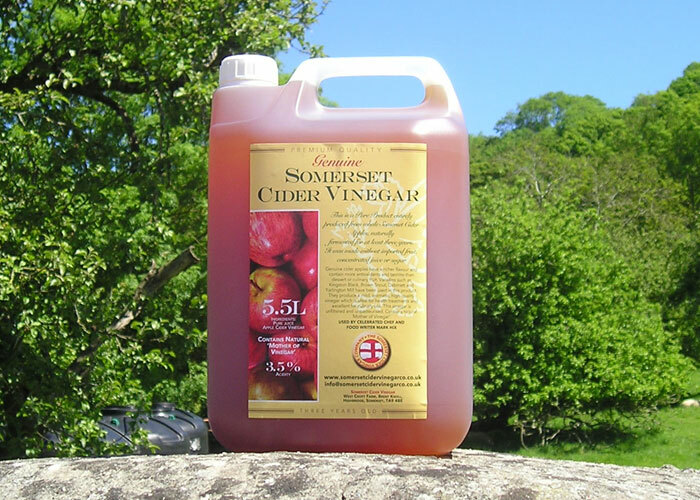 Somerset Cider Vinegar is not filtered or pasteurised and contains Acetobacter Aceti (mother-of-vinegar). Acetobacters are present as wispy, gelatinous particles in the vinegar. They are tasteless and nutritious but can be removed with a tea-strainer or something similar if they grow too quickly in your vinegar. "In our study, our healthy volunteers averaged a 13% drop in total cholesterol after consuming Apple Cider Vinegar, including a strikingly large reduction in triglycerides (a harmful type of fat)." "I tried one of the cheaper brands avalable online but it just tasted vile. Somerset Cider Vinegar is simply the best, I've learnt my lesson!" "Since taking Somerset Cider Vinegar my Cholesterol level has fallen from 10.8 to 8.5 (a drop of 21.2%) and my Triglyceride level has fallen from 14.1 to 4.2 (a whopping 70.2% reduction)." 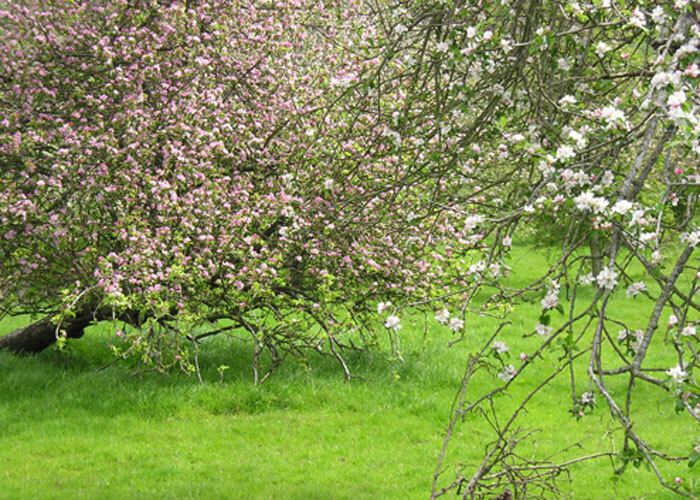 There are several ways that you can buy Somerset Cider Vinegar. You can order directly through our Online Shop using any credit card or you can order by Email and we will send our bank details so that you can pay by Internet Banking. Somerset Cider Vinegar is also available for collection from the address below (if you live in the area) or you can also send us your order by post and pay by cheque. Drinking raw Somerset Cider Vinegar diluted with water after a meal that is high in carbohydrates will significantly reduce blood sugar levels. Controlling an individual's blood sugar levels is a consideration for everyone's health but is particularly important for sufferers of Type 2 Diabetes because they are more at risk of damaging complications like heart disease. 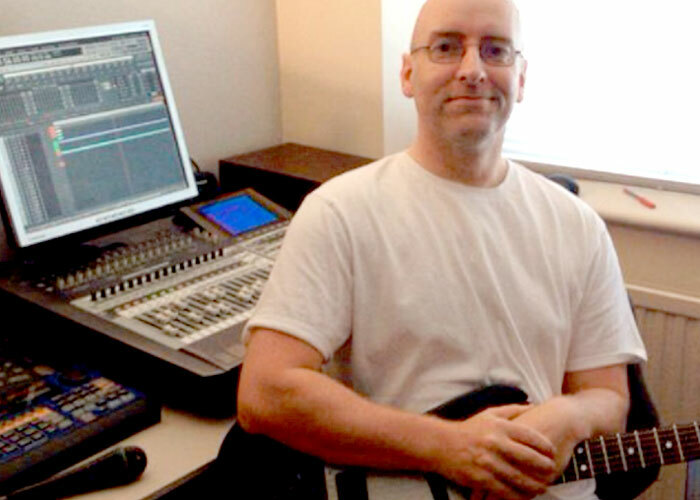 Kev Allcock is a semi-professional musician who had to give up playing guitar many years ago because his arthritis had such a debilitating effect on the movement in his fingers. He had been subjected to all the conventional methods of treating the disease with no improvement but after adopting the Somerset Cider Vinegar cure he reports that he is now playing better than he ever!